The 2014 Subaru BRZ is pure and simple, designed to be driven. And it comes with four features that makes every day a track day. It’s the most affordable driver’s sports car that’s available in the world today. Subaru engineers had a vision that was simple and precise. To make every element work in synch to deliver an exhilarating driving experience. And they succeeded in a big way. What four features did Subaru design into the BRZ? It starts with rear-wheel-drive configuration. All true sports cars must have rear-drive for optimal performance. It also includes a rigid, lightweight body and powerful brakes assisted by control-enhancing technology. This allows BRZ to quickly shave off velocity while precisely setting up a perfect line in the corners. It features vented disc brakes, electronic brake-force distribution, and it’s lightweight-2,762 lbs. It all adds up for the perfect balance in a two-door sports car. Subaru engineers gave BRZ an “intelligently engineered” quick-ratio steering and finely tuned sport suspension that responds immediately. The two-door coupe tracks right where you turn it and gives feedback that tells you exactly what the tires are up to. It also includes Stability Control with available Sport Mode when the driver is on the street and needs to "play closer to the limit." The 2.0-liter Boxer powerplant comes with 200 horsepower and 151 lb. ft of torque, a 7,450 rpm redline, 100 hp per liter, port and direst injection. Even though we haven’t seen an increase in hp, anyone who has seriously driven the BRZ on the track, knows it has plemty of punch to deliver a great driving experience. It also gets excellent fuel-mileage at 25/34 city/highway mpg with the automatic transmission. It does take 93 octane fuel for optimum performance. The close-ratio six-speed manual provides crisp yet smooth upshifts with the optimally placed short-throw shifter or a six-speed auto with paddle shifters with rev-matching control on downshifts is available as an option. The vision of Subaru engineers was as simple as it was precise, “create a purpose-built sports car that embodies our love of impeccable engineering and our passion for fun behind the wheel.” With the 2014 BRZ, they succeeded in engineering an affordable sports car that delivers an exhilarating driving experience. 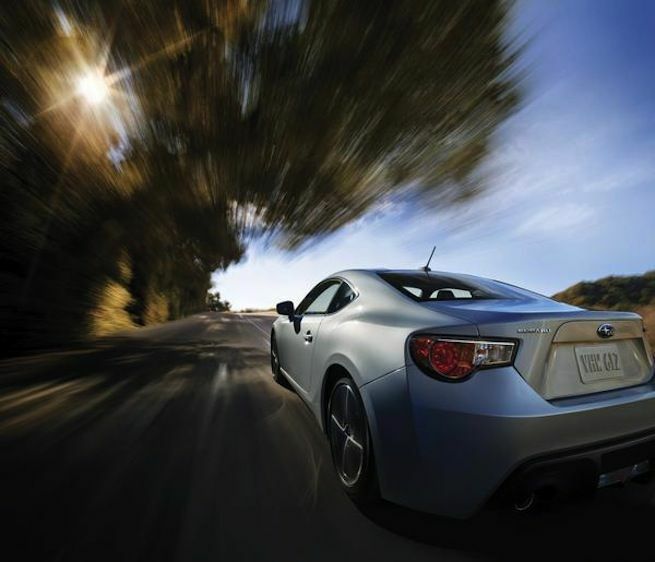 With the 2014 Subaru BRZ, every day feels like a track day. When will we see a new BRZ STI with more power under the hood? Stay tuned to Torque News for the latest BRZ news. Check out the new 2014 Subaru BRZ interactive online brochure here.